This new Extra 260 is designed specifically for 3D and IMAC competitions. 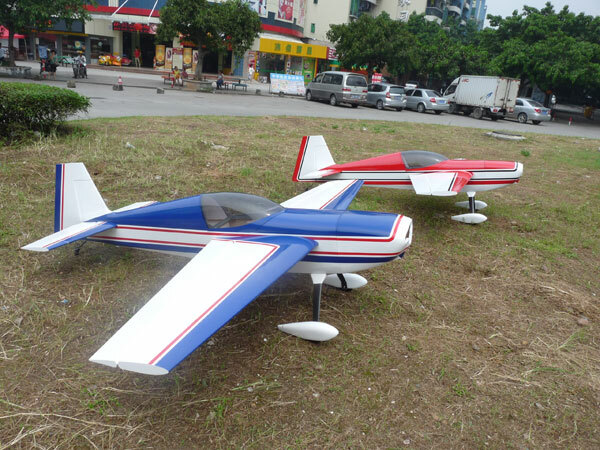 This is our first aerobatic aircraft in our line up to use standard hinging on all control surfaces. Because of this, we will have a lighter airframe weight and hinges that will last a long time without vibration. The 100-120cc model will accept canisters. Full hardware includes wheels, axles, tail wheel, control arms, titanium links, ball links and pilot. C/F parts include: gear, wing tube, stab tube, and spinner.